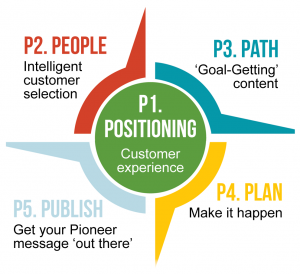 If you want to create Content that Connects, you need to start with Point 1 of the Pioneer Compass – your positioning. Can you capture the core of your message into one memorable sentence? If you can’t, then you should – because a catchphrase is a highly effective way to position your brand, take a stand for something, and attract and engage your ideal customer. Remember, if you’re serious about getting your message ‘out there’, then you need to earn the eyes, ears, and hearts of your perfect audience. But it’s not so easy to attract attention when you’re competing with so much online noise. You see not only will the right catchphrase give your audience an insight into what you’re about, it can transform your offer into a promise. What’s more, it can give your audience an expectation of what they’re going to discover – even before they dive deeper into your content. Now a single sentence that conveys your entire business promise is pretty tricky – but it’s not impossible! And to help you see this principle in practice, let me share a genius example. 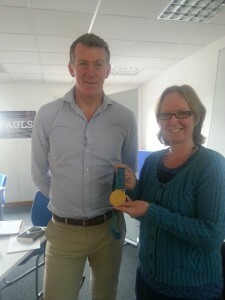 Recently, I was at a training event in Birmingham with the inspirational Ben Hunt-Davis MBE – a champion rower who won gold at Sydney in the men’s VIII. Ben’s training was about setting and achieving ‘crazy goals’ – i.e. those aspirational goals that you would think ‘amazing‘ if you actually achieved them. Now I’ve attended A LOT of training events in the past – I love personal development and I love discovering new insights to help me grow. What was interesting about Ben’s event was I knew it would be fantastic before I even stepped in the room (and I wasn’t disappointed). You see Ben’s backstory and core message had already convinced me of the value of what he would deliver. Now just imagine for a moment the impact on your business if you could create a sentence that could do the same for your message. Will It Make The Boat Go Faster? is Ben’s catchphrase, his business name, and also the title of his inspirational book and training course. But more than that, the catchphrase sums up Ben’s message into one highly visual analogy, to which entrepreneurs can relate and apply. 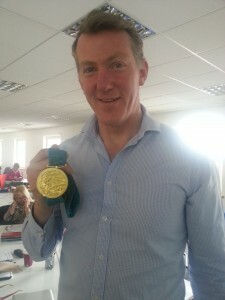 I first heard Ben’s message in 2012 when he shared his story of Olympic victory at an Entrepreneurs Circle event. The catchphrase ‘Will It Make The Boat Go Faster?’ (in relation to the achievement of crazy goals) just stuck. You see winning gold in Sydney was a crazy goal. No one (except the team) expected Great Britain to win – to do so they couldn’t just improve; they had to leapfrog the very best in the world. ‘Will It Make The Boat Go Faster?’ was the phrase, which bonded the team together and provided the underpinning strategy that helped make gold medal winning decisions. You see every decision was assessed against this one question. If an idea would help the team win, it was done. If not, the suggestion was ditched – even to the extent that the team skipped the Sydney opening ceremony and watched it on TV from their hotel room. (After all, being out of the Olympic village – on their feet – for a number of hours would NOT help them win). It’s not hard to imagine your company as the boat, which you’re responsible for rowing towards your goal. And combined with Ben’s catchphrase, you can discern the actions you should (and shouldn’t take) to achieve the results that you want. Ben told me he consciously wanted to develop a story that was relevant and would engage a business audience. What’s more, Ben wanted to paint a vivid picture whereby business owners could metaphorically see themselves in the boat. As a result, this combination of storytelling and memorable catchphrase gives “Will It Make The Boat Go Faster?’ a meaning and a significance that far exceeds the one sentence alone. When you remember that Ben’s catchphrase is the question the team consistently asked during training, you’d think his one sentence would be obvious. Initially, Ben didn’t realise the extent to which business owners would relate to, “Will It Make The Boat Go Faster?’ He hadn’t anticipated its far-reaching impact. After all, this was an internal phrase used to support the team’s Olympic goal. So the message here is to watch out for the ‘obvious’ when crafting your own catchphrase – it could be you already have the words you need. While sporting analogies translate incredibly well into business, Ben told me that some aspects of his original message didn’t quite resonate with his intended audience. So remember to be sensitive to the feedback you receive. And don’t stress about nailing your message from day one. Instead, allow your words to evolve over time as you perfect what you need to say to get the response you desire. 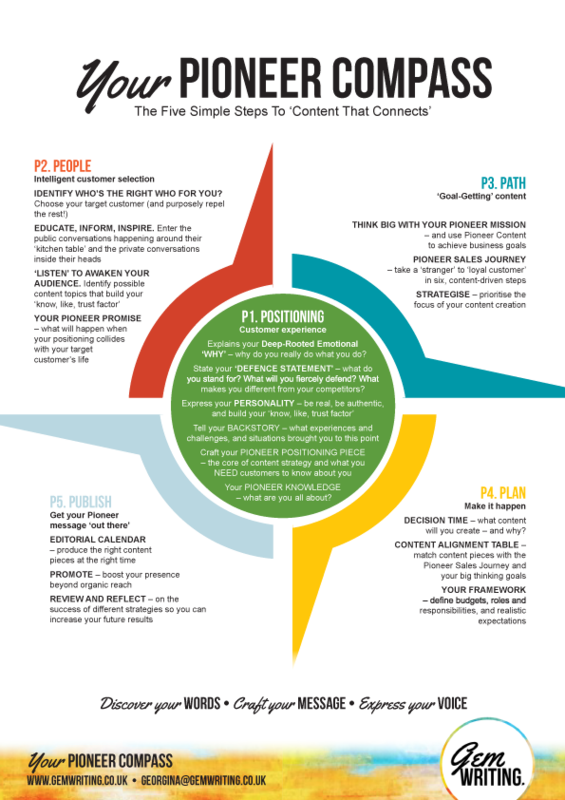 Your catchphrase – or Pioneer Positioning Statement – is just the first step in crafting and communicating your message. You also need to PLAN and PUBLISH content that consistently reinforces and builds upon your core idea to help your idea spread. And that’s how the Pioneer Compass can help make your content boat go faster. In this way, the Compass serves as a constant guide to keep your message heading in the right direction and your business rowing along the right PATH of the river. Here’s the Pioneer Compass in all its glory! 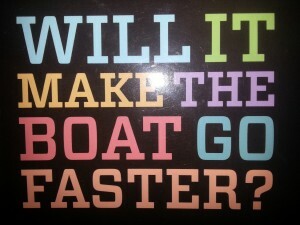 Want to make your boat go faster? I know that you have an important message to share. I get that you have valuable work to do. But are you honestly thinking big enough? In short, what’s YOUR equivalent of Ben’s crazy Olympic goal? I have a strong belief that we’re here for a purpose – and quite often that purpose is terrifying – especially when it’s far removed from where you currently stand. So if you’re an entrepreneurial business leader who thinks, wouldn’t it be amazing if I could achieve [whatever it is for you], then I strongly encourage you to connect with Ben. His story is inspirational, his message is powerful, and the outcome for your business could be transformational. You can discover more about Ben’s fierce mission to help business owners set and achieve their crazy goals here. And if you have a question about crafting a one sentence catchphrase for your audience, (or you want to know more about the Pioneer Compass), just let me know in the comments below. One of the best blog posts that I have read in an age. 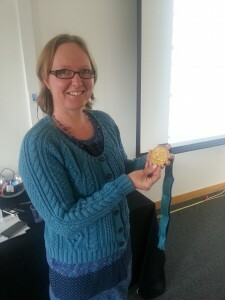 You have used the example of an Olympian to let me know that I can achieve loads more than I thought possible when I first started reading the blog. That insight combined with your Pioneer Compass and I have a route map to my goals. Is there a Pioneer Compass group anywhere that people could join? FaceBook? Thanks for your kind words about the blog. It was very interesting talking with and meeting Ben. For sure, Olympians think very differently to most of us! I was so inspired by his untiring dedication and commitment. And I’m glad you found the Pioneer Compass useful. This is a concept that I’ve been working on for a while now. I’m in the process of building a DIY Compass course and I also run one-day Pioneer Away Days where business owners work with me one-to-one using this concept to create their content strategy. I plan to open a Facebook group in the next month or so, so do give me a shout if you’d like to join or if you have any further questions.